← SPLURGE GALORE: PUCCI, PUCCI, POO! SPLURGE GALORE – FELT UP! I have been talking about the return of the MEN’s Backpack! 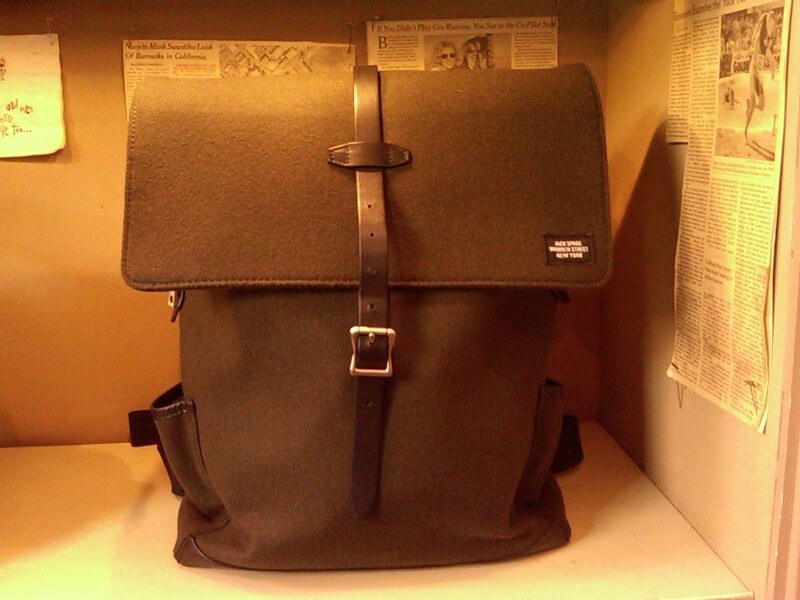 I’m crazy over this Wool Felt olive green Jack Spade backpack. It is large, roomy and trimmed in leather. The $375.00 price is worth the Splurge for the season. This is strictly for Fall/Winter. The rugged wool felt and army green color hits two trends at once. Put this on over your “statement coat” and you will be ready to march right into an army for dreamers!